In 1981 Raiders of the Lost Ark set the tone for virtually every action blockbuster that has been produced since, and it is easily the most well-known fictional film with archaeological content. Its sequels Indiana Jones and the Temple of Doom (1984), Indiana Jones and the Last Crusade (1989), and Indiana Jones and the Kingdom of the Crystal Skull (2008) were also very commercially successful. Despite the differences I’ve outlined (and there are many more), a large segment of the general public associates archaeology with the now legendary character of Indiana Jones. When people find out you’re an archaeologist, their first question is often “Is it really like Indiana Jones?” As a result, Indy gets a lot of criticism from professionals who get tired of explaining that archaeology is rewarding, is often full of adventure and excitement, but it’s not very much like Indiana Jones. But archaeologists and educators can use the popularity of the Indiana Jones movies to their advantage. These films, by depicting what archaeology isn’t, provide an entertaining opportunity for teachers and students to make comparisons and discuss what archaeology is. 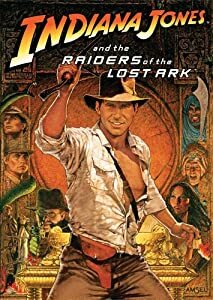 Many of us, especially children and adolescents, are first exposed to the field of archaeology by viewing fictional adventurers like Indiana Jones. Personally, I first heard the word archaeology when I saw Raiders of the Lost Ark as a kid. While sitting in that darkened theater, I was so impressed by Indy’s intelligence and determination that I resolved to go to the school library and read more about this mysterious thing called archaeology. Despite my initial disappointment that archaeologists didn’t carry bullwhips, I quickly became fascinated with real archaeology. That was 30 years ago and I’m still fascinated. The Indy movies don’t accurately reflect archaeology, but their popularity has the potential to spark public interest in finding out more about archaeology – the facts behind the fiction. The archaeologists of tomorrow might very well be sitting at home or in class watching Raiders of the Lost Ark today. In that sense, Indiana Jones is a hero to movie-goers, educators, and archaeologists alike. So I argued then, and still believe, that Indiana Jones can help popularize real archaeology. Evidently, the Archaeological Institute of America shares this belief since Harrison Ford is a member of their governing board. What do you think? Is Indiana Jones good for archaeology? Please share your thoughts and memories of Raiders of the Lost Ark in the comments. When I was a kid, Indiana Jones (all of them, really) got me thinking about the past, past cultures, and what fun things one could find. I had always hoped that I’d never get shot at while digging, though. Fast forward to now, I’m working on my my master’s degree in geology so I can work in geoarchaeology when I finally finish up. Geoarchaeology is a fascinating subject. I considered it as a specialty before deciding on zooarchaeology. Good luck with your Master’s work! I never thought of Indiana Jones as an archaeologist, or rather he was archaeologist as pretext for some esoteric fiction and action movie which has nearly nothing to do with archaeology. In fact, now that I think of it, what this did was exploiting an already existing esoteric and fantastic vein of pseudo-egyptology that has little (but something) to do with archaeology. In fact this would bring us to some adventurer real archaeologists, who used to be quite famous before Hollywood stepped in: Champollion, Schliemann, Evans and many others. Nowadays all is trivialized and fantasized but reality still beats fiction, sure it does. IMO, I think that someone like Michael Petraglia, involved in unveiling the prehistory of humankind when “we” crossed from Africa into Asia is, at least in terms of archaeological interest, a zillion times more fascinating than the fantastic pseudo-biblical nonsense surrounding Indiana Jones’ adventures. A lot of people, especially American audiences, are inclined toward “fantastic pseudo-biblical nonsense.” My hope is that Indiana Jones inspires some of them to learn more about the wonders of human prehistory, as revealed by archaeological research. I agree, the reality is far more fascinating than fiction. It is important to remember that Indiana Jones is a fictional character but sadly the myth is sometimes stronger for new recruits to the profession of archaeology. The reality of an archaeological dig/expedition is really never as exciting as in fiction. Hollywood has mythologized the profession of archaeology and it has, I’d argue, made people think that it is really very easy to understand the past and that great deal of work isn’t involved. Yes, Indiana Jones is a fabulous recruiting tool for university departments worldwide but sadly the reality is that excavating is hard work and never as exciting as portrayed in the films!